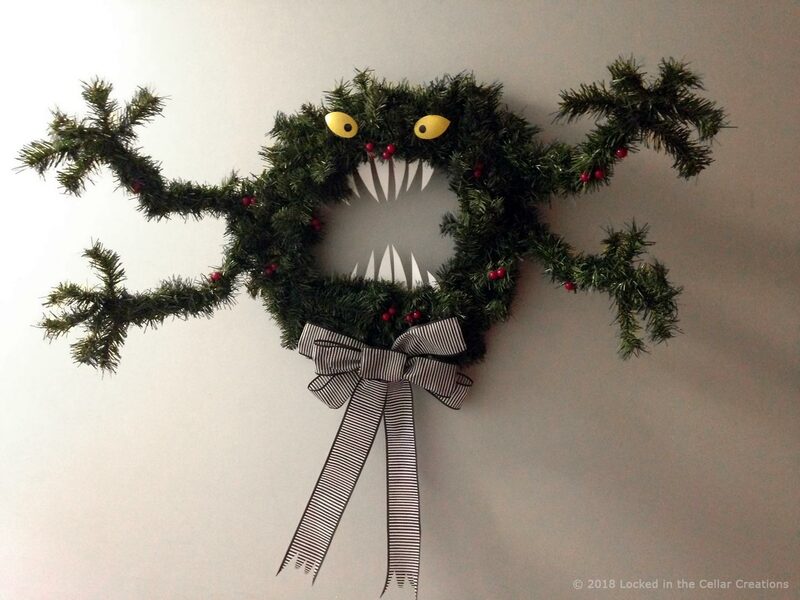 Make your neighbours do a double take with this classic Man-Eating Monster Wreath. This is fan art inspired by Nightmare before Christmas and Disney Haunted Mansion. The outer diameter of the wreath itself is 46 cm/18″. With arms he’s up to 135 cm/53″ wide! You can pose his arms and fingers completely to your liking. 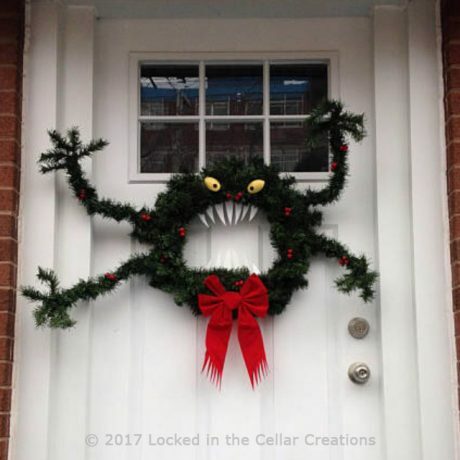 For easy storage, you can fold his arms in front of him and he takes up just as much room as a normal wreath. We make his eyes and teeth out of hard plastic. Watch out: they may be sharp! Finally, choose your favourite colour bow: Red or Black & White striped. Attention: Monster Wreaths are only available in November and December. He is really awesome and I hung him up right away. Box arrived just in time for the holidays. Thank you very much.